Our people are at the forefront of everything we do. We believe that the success of the business is the result of the people we employ. We have gathered together individuals with a vast knowledge and experience in the industries that we serve with the right attitude to get the job done. Areas of work include engineering, marketing, sales, HR, finance, contracts, admin support and customer services. If you feel that you have the skills and attitude to work with us, please send your CV to recruitment@campbellkennedy.co.uk or current vacancies can be viewed below. Campbell & Kennedy is an equal opportunity employer aiming for diversity in our workplace. This role could suit someone from a marketing, journalism, bid writing or business development background. As a result of our continued growth, we are currently seeking a Business Development Manager (BDM) to join our energy team in Scotland. This role is designed for those outstanding candidates who are driven, tenacious business winners who have a passion for sales. The candidate will ideally have an existing network of contacts to form a foundation for building enquiries and sales. As a BDM, you will identify new business opportunities selling our energy services including solar PV, battery storage and more to both private and public-sector organisations across Scotland. Working, in a limited capacity, with our Marketing department on selected tender submissions, to enhance the quality of the submissions. Campbell & Kennedy Limited is a leading installer of solar PV and Electrical Contractor. The company is looking for an Experienced Electrician to join their expanding team based in Aberdeen. The successful candidate will be responsible for carrying out electrical works on solar panel installation, either working alone or as part of a team. Please note that the job will involve travel and working away from home to service our contracts throughout the UK. This position is ideal for someone looking to take on more responsibility. If you feel you have the necessary skills and experience please click on “APPLY” today, forwarding an up to date copy of your CV for consideration in the first instance! Positive and flexible “can do” attitude. Campbell & Kennedy is currently looking for a Project Manager. The ideal candidate will be able to manage multiple projects concurrently and have experience of commercial PV systems as well as electrical qualifications. Willingness to travel to relevant project sites will be required in line with business requirements. Ideal for someone looking to develop their career. Good CPD opportunities. Campbell & Kennedy is currently looking for a Senior Project Manager to work from our Glasgow office. 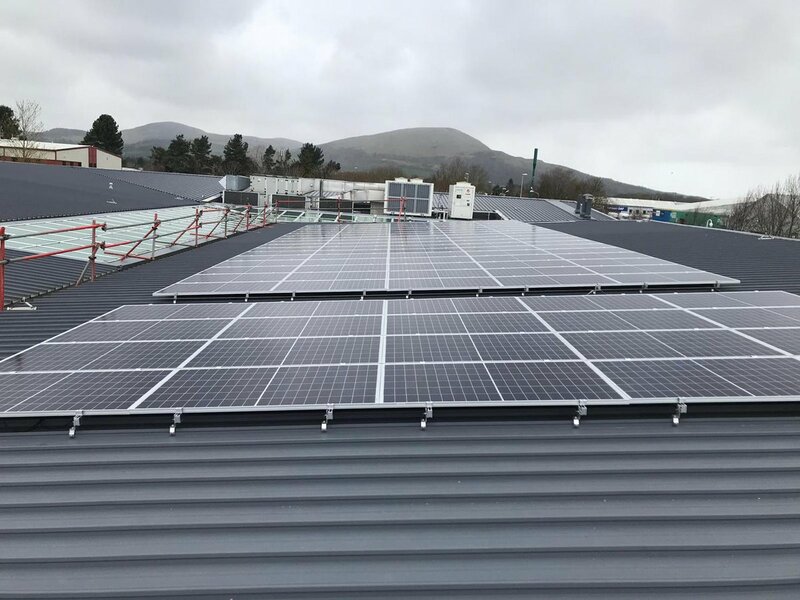 The ideal candidate will be able to manage multiple projects concurrently and have experience of commercial PV systems as well as electrical qualifications. Campbell & Kennedy are currently recruiting for qualified and experienced electricians for immediate start in the Aberdeen area. All applicants are required to hold ECS/CSCS cards and have a full clean driving license. Ideal candidates will have experience in working on new build domestic sites. No agencies will be required.